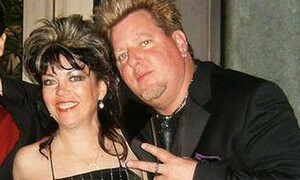 Los Angeles police said Tuesday the wife of a man vying for a spot on “America’s Got Talent” was found dead in the stairwell of an upscale hotel where the T.V. show was holding auditions. Covina native Laura Finley, 48, was discovered about 8:30 a.m. Saturday morning by a guest of the Millennium Biltmore Hotel. Police said her death appeared to be accidental, but they are looking into “other possibilities” as a precaution, Los Angeles Police Lt. Paul Vernon said. The coroner’s office is waiting for the results of toxicology tests before determining Laura Finley’s cause of death, Los Angeles County Department of Coroner Lt. Fred Corral said. 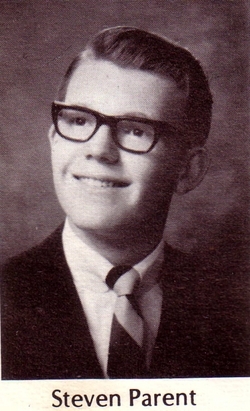 Laura Finley grew up in Covina and married her high school sweet heart, Joe Finley, four years after graduating from Northview High School in 1980, said Laura Finley’s sister, Jill Sutterlin. 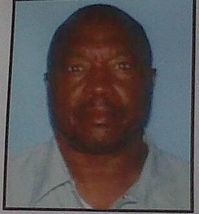 Joe Finley called hotel security and reported his wife missing after he got out of bed Saturday, Vernon said. The 47-year-old rock musician then attended an audition for the NBC reality T.V. show, Vernon said. Police later notified him about the death of his wife. Joe Finley was arrested early Sunday on suspicion of drug possession, Vernon said. During an interview with detectives, Joe Finley said he and his wife had consumed ecstasy before her death, Vernon said. Los Angeles Mayor Antonio Villaraigosa says the arrest of a suspect in the so-called “Grim Sleeper” serial killings ends 25 years of “terror” in the city. The mayor told a press conference Thursday that he wished to thank a special team of detectives that worked on the case full time. Fifty-seven-year-old Lonnie Franklin Jr. was charged Wednesday with 10 counts of murder, one count of attempted murder and special circumstance allegations of multiple murders that could make him eligible for the death penalty if convicted. The killings in South Los Angeles ranged from 1985 until 2007. Police Chief Charlie Beck says the detective team made its investigation the largest current case in his department. 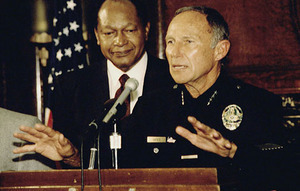 Los Angeles – Police say former Los Angeles police Chief Daryl Gates, who resigned in the wake of the Rodney King beating, is seriously ill.
Current Chief Charlie Beck told the city Police Commission on Tuesday that the 83-year-old former chief has a serious malady and that he visited Gates in the hospital over the weekend. But he provided no details. 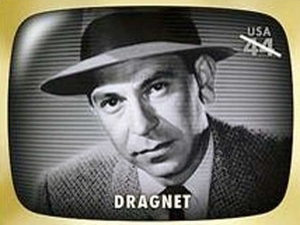 A stamp commemorating the 1950s TV show “Dragnet,” which dramatized the Los Angeles Police Department, will be issued Tuesday during a ceremony at the LAPD Academy in Elysian Park. The stamp is one of 20 that commemorates early TV shows and the only stamp to pay tribute to law enforcement, according to the U.S. Postal Service. The stamps go on sale at noon. Opal Webb, surviving spouse of “Dragnet” creator Jack Webb, who played Sgt. Joe Friday, will be at the ceremony, along with Harry Morgan, who played Officer Bill Gannon in the 1960s TV revival of the show. One of the show’s narrators, John Stephenson, is also to be at the ceremony, along with LAPD Chief William Bratton and Councilman Tom LaBonge. At the event, people will be able to purchase an exclusive LAPD 140th anniversary postmark, complete with a commemorative envelope and a special “Badge 714” photo stamp, designed and offered through the LAPD Historical Society. There’s a lot of speculation in the news room this morning about Chief Bill Bratton’s sudden announcement. Is something up? Or is it just time to go? Chief William Bratton, credited with guiding the LAPD out of a federal consent decree and pushing crime in the city to historic lows, is expected to announce today that he is stepping down midway through his second five-year term. Quoting unidentified sources, the Los Angeles Times said on its Web site that Bratton will announce at a noon press conference that he is leaving to take over as head of a private security firm. Bratton was hired by then-Mayor James Hahn in 2002, and his contract was renewed in 2007 by Mayor Antonio Villaraigosa. “I have said all along that Bill Bratton is the finest police chief in the United States of America,” Villaraigosa said after renewing Bratton’s contract..
At the time, Bratton insisted he would remain on the job for the entire five-year term. His first term was marked by repeated rumors that he would be leaving before he completed five years. EASTVALE – A SWAT team from Los Angeles Police Department rescued a kidnapped man from a house full of narcotics in this unincorporated community in western Riverside County. 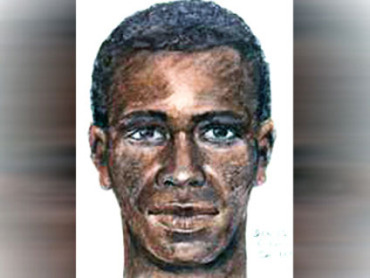 The kidnap victim, according to the LAPD spokesman, was apparently taken from the area of Van Nuys on Wednesday. 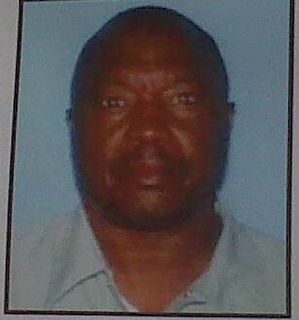 No further details were given about the identity of the man or why he was kidnapped. Police said he was injured but apparently not as a result of the rescue. The police SWAT team surrounded the residence in the 6900 block of Delaware River Road. In cooperation with Riverside County sheriff’s deputies, they stormed the house about 6:30 p.m., according to witnesses.